The following is a report submitted by Gloria La Riva for discussion at the May 2010 meeting of the Central Committee of the Party for Socialism and Liberation. In light of recent economic developments in Cuba, and the heightening of U.S. aggression against the island nation, the PSL is publishing this report. Our hope is to provide context and background, and to aid revolutionaries living outside of Cuba in examining the challenges faced by the Communist Party of Cuba and the country’s people. We urge you to closely review this report and the PSL’s other writings on revolutionary Cuba. The Cuban Revolution has had a profound and inspiring impact on the progressive struggles of workers and oppressed peoples around the world, and for the socialist movement. The revolution has made enormous changes for the people of Cuba; it is hard to believe that it is only 51 years old. Despite gloating predictions in imperialist circles, and dire concerns among some of Cuba’s friends that it could not survive the demise of the Soviet Union—its principal ally and counterweight to U.S. imperialism—the Cuban people’s resistance through the 1990s, its defense of socialism and the survival of the revolution is testament to the heroism of the Cuban people, their sacrifice and struggle. A principal factor is the Communist Party of Cuba, its leadership, particularly that of Fidel and Raúl Castro, and their forging of a party of millions that is ideologically committed to Marxism-Leninism, that has waged consistent struggle against privilege within its ranks, and has consulted closely through the years with the masses about the economic, social and political processes, and the critical struggles they have had to undertake. The greatest tests for Cuba’s Revolution have been the Bay of Pigs invasion, the Cuban Missile Crisis and the Special Period of the 1990s. The Cuban Missile Crisis was such a major test because Cuba, as well as the Soviet Union, faced nuclear annihilation; yet the vast majority of the population remained united with its leadership in facing the United States. The toughest and most prolonged struggle—with no apparent light at the end of a dark tunnel—was during the Special Period. The Special Period required a heroic level of steadfastness by the whole population. It is very important to understand what the Special Period entailed and how Cuba emerged intact from that crisis because I would characterize today’s situation as a return to similar conditions of the Special Period. The deepening capitalist crisis and U.S. economic measures against Cuba may worsen the situation in the period to come. A concerted campaign of attacks is being waged by U.S. imperialism with the help of its European allies, much of which was laid out in the Bush administration’s plan drafted by the “Commission for Assistance to a Free Cuba.” In 2004, the Bush government made public a 458-page blueprint for the intended overthrow of Cuba’s government. Another report was completed in July 2006 totaling 93 pages. Part of the commission’s report is secret. From 1990 to 1996, due to the cutoff of 85 percent of its trade and 80 percent of its imports, daily life in Cuba was marked by a drastic drop in caloric intake (from 2,500 to 1,500 calories per person), constant blackouts, minimal personal consumption, a virtual collapse of transportation, and a U.S. economic blockade that grew tighter as the U.S. imperialists passed laws to crush Cuba. Psychologically, the collapse of the socialist camp upon which Cuba depended was a major blow to the Cuban people. No major allies or relief was apparent for the foreseeable future. How would Cuba survive the loss of the Soviet Union and Eastern Europe? How would it overcome the sudden loss of 80 percent of its imports with no trading partner to fill the void? How would it generate revenue when its biggest market for its goods, such as sugar, citrus, nickel, tobacco and rum, was with the socialist countries that had disappeared? And most of all, how would it survive the plans of U.S. imperialism that considered the overthrow of the Soviet Union the most propitious time to destroy Cuba’s Revolution once and for all. Two notorious U.S. laws were passed in the 1990s designed for this objective. The 1992 Torricelli Law prohibited foreign subsidiaries of U.S. firms from trading with Cuba, and provided that any ship that docked in Cuba would be banned from entering a U.S. dock for six months. The effect of this was to force foreign firms to choose between the U.S. or Cuban market. The 1996 Helms-Burton Act, signed by then-President Bill Clinton, punished non-U.S. corporations and investors that have economic relations with Cuba. It allowed Washington to penalize foreign companies trading with Cuba, or anyone “trafficking” in Cuban property formerly owned by U.S. capitalists. This internationalized the blockade, and sanctions are still being imposed on other countries’ corporations and banks for doing business with Cuba. After a decline from 1989 to 1993 of 34.5 percent of production, Cuba was able to finally experience economic growth in 1996, and it continued until 2008, after the world financial and economic crisis hit. There have been new political developments since 1999—Hugo Chávez’s election in Venezuela, followed by elections in Bolivia, Ecuador, Nicaragua, El Salvador and elsewhere—giving Cuba a much more favorable situation in Latin America. These developments were crucial to the formation of ALBA, the Bolivarian Alliance for the Peoples of Our America, which is a regional bloc for trade and cooperation. Now, with Cuba and Venezuela at the core of this new regional alliance, the historic hold by U.S. imperialism is being seriously challenged. However, the threats by U.S. imperialism remain. U.S. hostility toward Cuba has not abated. With President Barack Obama’s election, many in the Cuba solidarity movement thought that there would be a lessening of the U.S. blockade, the travel ban and other longstanding restrictions on Cuba. With the exception of travel for Cuban Americans, which is now permitted, the opposite is happening. A more sophisticated yet still aggressive U.S. stance is prevailing. U.S. government denunciations and the European Parliament’s resolution against Cuba after the death of the hunger striker Orlando Zapata Tamayo. The EU has continued its “Common Position” on Cuba, which has been updated every six months since 1996. The “International Committee for Democracy in Cuba,” led by Vaclav Havel and Jose María Aznar. The Czech Republic government has been part of the attempts to foster counterrevolutionary activities in Cuba by sending Czech agents to deliver cash to the counterrevolutionary groups. For example, two Czechs—Ivan Pilip, now vice president of the European Investment Bank, and Jan Bubenek, former member of parliament—were detained in Cuba in January 2001 for 25 days. Their trip to Cuba was financed by Freedom House. They were carrying a list of opposition figures to which they were to deliver money and other resources. Stepped up U.S. funding for counterrevolutionary activity in Cuba. A tightening of the economic blockade. The theft of Cuba’s assets by outrageous lawsuits in the United States. 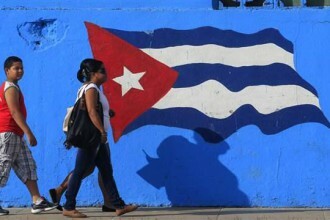 Spain’s role in trying to destabilize Cuba, which has increased since the election of Obama. Many of these attacks are discussed in detail in the sections that follow. The most known case is centered on the death of a man named Orlando Zapata Tamayo, who died in late February 2010 after a 83-day hunger strike. There were outrageous accusations by right-wing forces on the island and in Miami—with the encouragement of the U.S. government—that Cuba was responsible for his death. Despite receiving excellent medical care, including intravenous feeding, 83 days of refusing any nutrition orally made his death inevitable. Cuba devoted one evening to explain what Cuban doctors did to try to save his life in the Roundtable TV program. His complete history, which led him to prison, was a string of violent common crimes, including fracturing a man’s skull with a machete. As he neared death, the counterrevolutionaries, a very small group of people in Cuba, began to claim him as a “political prisoner,” even though they had never previously considered him as such. The European Parliament immediately issued a statement accusing Cuba of human rights violations and demanding “the release of all political prisoners.” These are the same countries that engage with the United States in rendition and torture in their countries of Arabs, Muslims and other victims of U.S. terrorism. As soon as Zapata Tamayo died, another man, Guillermo Fariñas, who the Western press called a “political prisoner,” went on a hunger strike. There is just one thing wrong with this picture: Fariñas is not in prison. Fariñas’s strike has gone on so long that the Catholic Church in Cuba asked him to end it because he was losing credibility and it was very obvious that Cuba was giving him excellent medical treatment. But facts do not really matter when it comes to U.S. attacks on Cuba. Just say there is repression, just claim there is torture, and the Western wire services will repeat the lie without question. We do not know how far the U.S. government plans to take this latest campaign, but one indication is an unusual series of anti-Cuba demonstrations in the United States in support of the hunger strikes and demanding release of the remaining prisoners of the 75 counterrevolutionaries who were convicted in 2003. Although the 75 are called “journalists” and “dissidents of conscience,” the fact is that in the 1990s and 2000s they were acting in close concert with the U.S. Interests Section. They were observed for a number of months as they entered the U.S. Interests Section and received large amounts of money and instructions on how to disseminate deliberate lies to the United Nations and the European Parliament so that anti-Cuba resolutions could be passed. They also received money from known anti-Cuba terrorists in Miami. In May 2008, it was revealed that Michael Parmley, chief of the U.S. Interests Section in Cuba, was hand delivering $1,500 a month from the Miami terrorist Santiago Alvarez through his “Fundación Juridica” to one of the main leaders of the 75, Marta Beatriz Roque. Beatriz Roque was released months after her conviction for health reasons and has been part of the “ladies in white” protests. Alvarez is the long-time financier of terrorist Luis Posada Carriles, who has his own long history of terrorism. Many of the 75 counterrevolutionaries have been released from Cuban prison for reasons of health (something that never happens in U.S. prisons!). These are the 75 people for whom the so-called Ladies in White have been protesting, first with an action in April 2010 in Miami of several thousand, led by the singer Gloria Estefan, and then a protest in Los Angeles, led by the actor Andy Garcia, and one in San Francisco. The day before the Miami protest, Obama issued a White House statement very hostile to Cuba, giving fuel to the forces of counterrevolution. Then on April 15, Gloria Estefan hosted Obama at her home in Miami in a $30,600 per plate fundraiser. As a side note, Republican Cubans in Miami are raising a storm and criticizing the Estefans, complaining that they are using their prominence in the march to support the Democrats. However, Estefan’s role in promoting the counterrevolution may gain more prominence, and it is one more example of how Washington makes the decisions when it comes to Miami and imperialism’s interests. Not coincidentally, Posada joined the march in Miami. This is the same man who has the blood of 73 people on his hands from bombing the Cuban airliner in 1976, and who the Obama administration refuses to extradite to be tried for that crime in Venezuela. The fact that Posada, wanted for multiple crimes, feels so free to march openly when there is worldwide knowledge and condemnation of his terrorism, that not a word or action by Washington is made against the blatant impunity he enjoys, is much more than an insult to the memory of his victims—it is a clear message that the terrorists have a green light to continue. In early April 2010, the Obama administration announced that it would allow the resumption of funds and communications equipment to opposition groups in Cuba, after having suspended them on Dec. 9, 2009. This was six days after the arrest of Alan P. Gross, the CIA agent working for U.S. Agency for International Development subcontractors. Gross claimed he was delivering satellite communications equipment to Jewish groups in Cuba. Washington has allocated $45 million in funds for counterrevolutionary programs in Cuba for the fiscal years 2009 and 2010, partly to deliver items such as laptops, radios and other resources. The U.S. propaganda machine uses some of this money to promote the blogger Yoani Sanchez, an outright counterrevolutionary, who claims repression because she cannot have unlimited internet access. It also is behind the letter initiated by Carlos Moore, the Black Cuban exile who left in 1962 and has been at the service of imperialism ever since. Moore regrettably got a number of African American personalities to denounce Cuba for what he claims is repression against Black Cubans. The blockade is not a thing of the past, even though the perception given by Obama’s first campaign comments regarding Cuba misled many Americans, making them believe that he would lighten up on Cuba. If anyone carefully listened to Obama’s words, he declared unequivocally that the U.S. blockade would remain in place. But there are a number of recent examples of European banks and corporations being forced to divest of Cuban assets because of U.S. economic treaties. The blockade is Washington’s way of internationalizing its overarching policy toward Cuba. It actually sanctions other countries and foreign corporations—even to the point of fining them under U.S. jurisdiction—for doing business with Cuba! Every U.S. government embassy or consulate in the world has as one of its primary tasks assigning specific agents who work to see that any economic deal Cuba makes is thwarted, undermined and destroyed. One example is General Electric, which has told its sub-subsidiary Banco de America Central (BAC) that it can no longer carry out transactions with Cuba or Cubans. Without warning, BAC blocked the use of its credit and debit cards in Cuba as of July 1, 2009. The cards were used by many families of medical students for sending money, as well as by tourists and Cuban Americans making family visits. This policy change happened because General Electric bought BAC, which made the company fall under the restrictions of the Helms-Burton law. Another unknown but critical fact about the intensified economic war being carried out against Cuba is the wholesale theft of Cuban telecommunications revenues that are held and controlled in the United States. These include the hundreds of millions of dollars that Cuba had in Chase Manhattan bank, now JP Morgan Chase bank. Due to the “Law for the Protection of Victims of Trafficking and Violence,” signed by Clinton in the late 1990s, U.S. citizens have the right to sue for the seizure of those Cuban assets. There has been a spate of lawsuits that boggle the mind—in their illegality and absurdity—that no U.S. court would allow in any other case. Here are a few recent examples of the confiscation of Cuba’s holdings, including the revenues that it is due from telephone communications between the two countries. U.S. companies recover their monies as profits, but Cuba’s assets are withheld from it by the United States. These frozen assets amounted to roughly $268 million dollars, but Cuba’s National Bank assets have now been completely emptied from the bank, and the Cuban telephone entity has only $6 million remaining. In January 2007, $91 million was awarded in U.S. court to families of two CIA agents who died during the Bay of Pigs invasion. One was Thomas “Pete” Ray, who piloted a B-26 bomber over Cuba and died when he was shot down. Another man, Howard Anderson, was executed in April 1961 after being convicted of smuggling weapons into Cuba during the invasion. $72.1 million of those awards was paid out to the families on Nov. 27, 2007. Also in January 2007, the family of Robert Fuller, executed for counterrevolutionary activity in 1960, was awarded $400 million. In May 30, 2007, Miami-Dade Circuit Judge Peter Adrien awarded the admitted CIA agent Gustavo Villoldo—who brags that he helped capture Che Guevara—the outrageous amount of $1 billion dollars. Villoldo claimed—without providing any proof or evidence—that his father was driven to suicide by Fidel Castro and Che. His father was a wealthy car dealer who owned property in Cuba that was confiscated by the new revolutionary leadership. In April 2008, the siblings of Rafael Del Pino Siero were awarded $253 million in Miami-Dade court. Del Pino was involved in counterrevolutionary actions in 1959, was imprisoned and died 18 years later. Federal Judge James King awarded the families of the pilots of Brothers to the Rescue $138 million, and Jose Basulto won an almost $1.5 million judgment, even though his plane’s invasion of aerial space created the crisis that led to the shoot down in 1996. It is not just Cuba’s frozen assets in U.S. banks that are affected. The lawsuits could end up confiscating Cuba’s assets in European banks, which would deal a further financial blow to the island. Although she has received $194,000 from Cuba’s frozen assets, she has now sought an injunction against the nine charter companies to confiscate the landing fees that they pay to Cuba. In a surprising move, the federal court moved the jurisdiction to state courts, a potentially negative development. The U.S. government has weighed in, arguing against her suit. But of course it is U.S. law that permitted this spate of suits in the first place. Despite the U.S. government’s “opposition” to the $138 million award to the BTTR pilots, the court still awarded the money. The theft and intensified economic destabilization is not over. In February 2010, seven Cuban medical doctors and one nurse who had served in the internationalist mission in Venezuela but are now in Miami filed suit against Cuba, Venezuela and the Venezuelan oil entity, PDVSA, for $450 million. They claim they were reduced to modern slavery in Venezuela for having to provide healthcare for poor people. The suit is a class action suit. It would allow any other Cuban doctor who wishes to join it to potentially recover $50 million each. George Bush in August 2006 signed a law called “Cuban Medical Professional Parole.” The law allows any Cuban doctor serving abroad to defect and enter the United States easily. The role of Spain in trying to destabilize Cuba on behalf of U.S. imperialism has been unfolding over the last year. It involves Prime Minister Jose Luis Rodriguez Zapatero’s intelligence service. Part of the plot ensnared Cuban leaders Carlos Lage and Felipe Pérez Roque, and led to the Communist Party of Cuba removing them from their government and Party offices. In late December 2008, a Spanish law took effect called the “Law of Historic Remembrance.” This law allows any person in the world to become a Spanish citizen if they can claim to have grandparents from Spain. It affects three countries the most: Cuba, Argentina and Uruguay. But the greatest has been Cuba. Between 1898 and 1930, about 1 million Spaniards migrated to Cuba. What is the law’s impact? It provides incentive for any Cuban who can to obtain Spanish citizenship and leave the island. This is more enticing to some in light of the island’s growing economic difficulties. Even for supporters of socialism, there are many who see economic opportunities by moving to Spain. Some eventually desire to move to the United States. The law was supposed to expire in December 2010, but now it has been extended one more year by Spain. Cuba has protested to the Spanish government about this law, but to no avail. Spain is playing a key role in the U.S. and European imperialists’ strategy of trying to destabilize the Cuban Revolution. One of these campaigns led to the removal of Cuban leaders Carlos Lage and Felipe Pérez Roque from their Party and government posts on March 2, 2009, the same day that they were exposed at the Political Bureau meeting. Fidel became gravely ill in July 2006, and for the next three years struggled for survival. Lage was executive secretary of the Council of Ministers and vice president of the Council of State, and Pérez Roque was Cuba’s foreign minister, the youngest ever appointed to the post. Both were considered as potential candidates for the succession of the revolution’s leadership. When they were removed from government and Party posts, many people abroad wondered why. Much information has been revealed through the Spanish press, in particular El Pais, a bourgeois newspaper. Other sources have also confirmed the essential elements. Esperanza Casteleiro, second in command of Spain’s intelligence service, CNI, was assigned to coordinate an intelligence operation in Cuba soon after Obama’s election. She moved to Cuba in November 2008. She had also traveled to Miami to meet with counterrevolutionary groups. Another key person was Conrado Hernández, a Cuban who has been a close friend of Lage since boyhood, and who used their relationship to gain many favors and access. As a Cuban whose direct ancestors were from Spain, Hernández got Spanish citizenship. For about 10 years, he has been the liaison between Cuba and the Basque region’s corporations that do business in Cuba. According to Cuba’s intelligence service, G-2, Hernández admitted becoming an agent for Spain. Of course, we should understand that the CIA would obtain any information that the CNI gathered. In Hernández’s ranch in Matanzas province, there was at least one party he organized, which Lage and Pérez Roque attended. The event was secretly recorded by Hernández with the logistical help of Casteleiro and the CNI. The tape of that party and other materials were confiscated by Cuban authorities when Hernández was arrested on Feb. 14, 2009, as he was about to board a plane headed to Spain. The tape included disparaging remarks by participants at those social gatherings about the top Cuban leaders. Hernández is still under arrest. He was also photographed and taped by Cuban intelligence in a Havana restaurant meeting, reportedly with Spanish agents, including Esperanza Casteleiro. At that meeting, he agreed to comply with the CNI’s request for details about the Cuban leadership, about Fidel’s health, about Cuba’s relationship with China and Iran and other information. Another part of this story is the cousin of Lage, Raúl Castellaños Lage, who is a cardiac surgeon. He was being surveilled because of his increasingly hostile position against the revolution. On Feb. 23, 2008, the National Assembly of People’s Power (ANPP) held a session to prepare for the historic elections to be held the following day. The newly sworn in delegates to the National Assembly were to elect a new president and Council of State. By then, it was known that Raúl Castro would be elected president, but who would become first vice president and other positions was still a big question. The approval would come Feb. 24. So, on Feb. 23, in the closed session where the slate was chosen by the delegates, Ramon Machado Ventura—one of the original Granma participants—was nominated for first vice president. Carlos Lage was obviously disappointed, as he expected to receive that post. Conrado Hernández immediately called Spain’s CNI with the information. Cuban intelligence was aware that the news of the leadership succession had reached Spain that night. Without a doubt, the CIA was also informed. Given the openly-stated U.S. policy in the Bush doctrine that no Communist Party leader would be allowed to succeed Fidel—even though Fidel’s sudden illness forced him to give up his official position, thus making that policy very difficult to implement outright—and the constant danger of assassination and other destabilization plots, the Cuban leadership’s insistence on discipline in these matters is certainly necessary and understandable. Imagine the scenario if Lage or Pérez Roque had been elected to first vice president, or if they had remained in the Council of State. At the very least, the tape-recordings and other espionage were meant to find divisions and weaknesses. The Communist Party of Cuba has since shown the Political Bureau meeting video to all members of the Party across the country. This is bound to bring home to all the lesson that no member of the Party, no matter how high a position he or she reaches, is exempt from the bounds of discipline, honesty and communist conduct. The conduct of Lage and Pérez Roque was shown in videos that Conrado Hernández recorded in his ranch, where they and others made ridiculing remarks about the leaders, including Fidel and Machado Ventura. There is virtually nothing in the bourgeois press about this matter because it is not exactly an easy thing to exploit—that the Communist Party of Cuba has purged its leadership whom the imperialists had an eye on. After their removal, Lage was assigned to work in a family clinic (he is a trained pediatrician), Pérez Roque to a factory as an electrical engineer, and Carlos Valenciaga in the National Library. Valenciaga was removed in September 2008 from his job as Fidel’s secretary. He was criticized for improper behavior after he held a party for his birthday just two months after Fidel fell ill, in a room near where Fidel was recuperating. He is seen in a video, drunk with a bottle of rum and a “comandante’s” cap. Many of the same factors that led to Cuba’s 1990s Special Period have resurfaced or intensified, making it necessary for the government and the Communist Party of Cuba to reintroduce or increase some of the economic measures originally employed in the 1990s for its survival, and to pull back on others. Basically, the problems are a combination of the intensified blockade and the world economic crisis. There is lately a drop in production for lack of spare parts and raw materials, and a serious decline in the country’s purchasing power for essentials of food, medicine and fuel. The latter is due to the great increase in the world’s commodity prices, like that of rice, milk and meat; the precipitous fall in nickel prices (Cuba’s number two source of foreign income); as well as a decline in tourist income. For example, 50 percent of Cuba’s foreign earnings come from nickel. Until the financial and commodities crisis hit in 2008, nickel commanded a price of about $52,000 a ton (May 2007). Cuba in 2008 produced 70,000 tons thanks to foreign investment in its mines, mainly Sherritt Corp. in Canada. Then, at the end of 2008, nickel fell sharply, and Cuba announced that with the market price falling to between $9,000 and $10,000 per ton, Cuba was producing nickel at a loss. It has recovered some, to about $18,000 per ton in late 2009. (As of Sept. 14, 2010, nickel prices jumped to over $21,000 per ton.) Still, it is nowhere near the price of 2007. The loss in income from nickel has hit the Cuban economy the hardest of losses in any sector. At the same time, Cuba has maintained its decades-long policy of providing basic food subsidies for all the population, even as world commodity prices are sky-high. It has done this while an estimated 189,000 able adults are not working or studying, but still enjoying the full rights of free healthcare, housing (almost everyone owns their home or pays pennies for rent) and schooling—with no economic support for it by being engaged in production. This is becoming an untenable burden for the economy. In the early 1990s, some of these same factors led to inflation and a major decline in the Cuban peso’s value. It fell to 125 pesos per U.S. dollar in the mid-1990s. Therefore, with very little value in the peso, since there were almost no goods to purchase and production had dropped 34.5 percent, there was a huge excess of currency in circulation, roughly 13 billion pesos. As a result of the economic changes from 1993 on, the peso increased in value to about 25 pesos per U.S. dollar. Food was in very short supply until the farmers’ markets were launched and the majority of state farms were converted to UBPCs, “Basic Units of Cooperative Production.” Most food for domestic consumption is still produced in the UBPCs. The land is held in usufruct—owned by the state, but the production is owned by the cooperative members. After much study on the agricultural question during the early 1990s, it was decided that the large state farms could no longer operate as they had with large-scale machinery—tractors and harvesters, pesticides, artificial fertilizer, fuel, tires and so on. To promote greater food production, farmers’ markets were reintroduced in 1994. The new policy allowed the growers to bring the food that they produced—over and above the amounts assigned to the state—to the farmers’ markets. There they were allowed to charge whatever price the “market” would bear. The prices were admittedly high, but they also had the effect of reducing the underground market, where prices were astronomical. Within weeks of the reintroduction of the farmers’ markets, food was much more in abundance. It was a major relief for the population. In 1996, I attended all the sessions of the Congress of the Cuban Workers’ Confederation (CTC) and witnessed many of the debates on the agricultural question. It was the first year that the economy showed positive growth, albeit small. But the mood was very positive and the workers were very enthusiastic about the improvement in their production—an obvious sign that they are the owners of society. And that is the crux of the problem today: Food is still the most critical problem to overcome. For the country to be less subject to the dramatic vicissitudes of the international market, it must produce more internally. That is one of the main goals of the continuing agricultural policy. 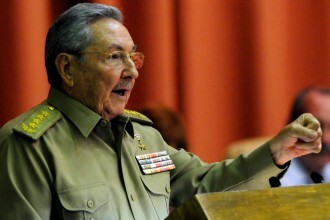 In July 2008, Raúl Castro spoke to a session of the National Assembly. Among some key pronouncements—including increasing the retirement age to 65 for men and 60 for women over a period of several years—he spoke of the agricultural situation. He reminded the deputies of some of the food importation costs: In July 2007, a ton of rice bought from abroad was $435; one year later it was $1,110. Flour in 2007 was $297, and in 2008 it was $409. Powdered milk was $2,100 a ton in 2007, and in 2008 it went up to $5,200. But I want to emphasize that, unlike what the bourgeois press rather crudely reports about agricultural developments, Cuba is not “privatizing” the land. It is continuing the policy of land remaining in state hands, and at the same time engaging in an intense, multifaceted campaign to raise self-sufficiency by encouraging urban dwellers to return to the countryside to start farms and raising prices paid by the state to farmers for their produce, among other measures. This is part of an attempt to increase cultivated land. Raúl mentioned that the amount of land being cultivated had decreased by 33 percent between 1998 and 2007, and it must be reversed. Another major problem for agricultural production is the proliferation of the dreaded “marabu” weed. Calling it a weed is a misnomer. Its trunk and roots are almost like trees and the needle-like spines are two to three inches long. Bulldozers are needed to uproot it, but with that machinery unavailable, up to one-third of Cuba’s arable land was taken over by marabu. It renders land unusable. Cuba is also suffering the worst drought since 1901. Of course, since the revolution’s triumph many dams and water reserves have been created, so they are somewhat better to weather the droughts, yet the country has still been hit hard. The 2008 hurricanes also caused more than $10 billion in damage. The actual figure is higher when considering replacement costs for housing. Cuba has done remarkable things to rebuild the worst-hit provinces. Still, almost all the country’s warehouse reserves, which were always kept in case of wartime or other major emergencies, have been emptied as a result of the three hurricanes. In agriculture, there are many major projects underway sponsored by the state. For instance, the Revolutionary Armed Forces (FAR) established large farms in all the provinces, which are now 24 units—about 450,000 hectares out of Cuba’s total of 3.6 million hectares (2.37 acres per hectare). The FAR farms are worked mainly by soldiers, but also by civilians in the surrounding communities. Already 80 percent of the military’s food is produced on them. About 60 percent of Cuba’s food is still imported. There have been important developments in Cuba’s agriculture, despite—and also because of—the Special Period. This includes Cuba’s development of organic and sustainable farming. In order to reduce reliance on fertilizer, there is much more crop rotation and farms are diversifying what they produce. More vegetables are grown and consumed than before the crisis of the 1990s. In Havana’s urban area—which is over 2 million people—80 percent of the vegetables consumed are now grown in the community urban gardens, large and small. The University of Havana has created an outreach program to encourage high school students to go into the various fields of agronomy studies, including allowing students who complete the 11th grade to go into university to begin an agricultural education. While the government has struggled to maintain the key necessities for the population universally available and free, like healthcare, education and very inexpensive housing, the current economic crisis is making it impossible to continue without making similar adjustments as ones made in the 1990s. For example, many factories and other workplaces are operating at a loss, and they have an excess of workers in many places, while facing shortages in other spheres like agriculture. In 2003, for instance, over half of the sugar mills were permanently shut down because of the strategic restructuring of the sugar industry, largely due to the extreme volatility in the world market prices. The decision was made to cut down drastically on that crop’s production. In 2009, the sugar harvest was only about 1.4 million tons, down from the traditional yield of 7 million tons. Cuba even had to import several hundred thousand tons to provide for domestic consumption. The mills were decrepit. Raúl Castro, in his speech to the Young Communist League (UJC), remarked that the government estimates that there is an excess of 1 million workers in some areas, while they have a shortage in other areas, like teachers. The problem is not so much a lack of workers as a low productivity in the workplace. So, the watchword for the last few years has been “efficiency and more production.” In the CTC Congress and in the workplaces, the drive has been for the workers to try to produce more with less, to raise production in order to satisfy the country’s needs. Corruption is also a challenge for the revolution. In October and November 2005, Fidel (then still president) gave two significant speeches in which he posed the question of whether there was a danger of the revolution collapsing from within. In these speeches, he explained in detail Cuba’s developing problems and emphasized the need to deepen revolutionary consciousness to overcome the weaknesses and dishonesty among those who are engaged in theft of the country’s resources. The speeches are sobering, but also inspiring and very enlightening. They are an important education for our comrades to understand the serious challenges that Cuba faces and what it is doing to combat them. Click here to read Fidel’s Oct. 28, 2005, speech. Click here to read Fidel’s Nov. 17, 2005, speech. Fidel addressed two main themes in the speeches. The first was the debilitating effect of dollar remittances regarding subsidized benefits. Some examples of this are the country providing very inexpensive electrical power to the population that comes at great cost to the economy. There is also a certain sector of the population that receives the monies and does not feel compelled to work. This is because so many of their basic necessities of life are available for a tiny fraction of those imported dollars received. The second theme was Fidel’s warning of actions against those who steal from the state to enrich themselves. Shortly after these speeches, a six-week campaign was conducted by 28,000 young social workers. They took over complete control of the gasoline distribution system. The Cuban social workers are a relatively new development in the country to help resolve the social problems of the population that needed special attention. These include attending to the seniors who live alone, to young people who are not engaged in work or study, and more. On the first day of that campaign, the social workers took over the gasoline stations, replacing all the workers involved in the industry. They accompanied the tanker truck drivers on their delivery routes, they pumped the gas at all the stations, and they carefully measured the gasoline sold and the income received. At the end of the six weeks, it was determined that over half of the gasoline distributed was being pilfered. A restructuring of the gasoline system then was carried out by the state. This and other campaigns have made the social workers very popular. And the people began to demand the intervention of the youth in other problems, especially to root out the inequalities and corruption that they demand be ended. There is another major corruption case today that is being investigated. That is the allegation that some directors of Cuban airlines were redirecting planes to conduct their own business. While I have concentrated on the problems that Cuba is facing because that is what we need to understand, I have not reviewed in detail the continuing and remarkable advances being made in all spheres. These advances include the new cancer vaccines and treatments, which are quite promising; the reduction of infant mortality to 4.7 per 1,000; the 30,000 doctors serving abroad whose mission is being expanded; the ALBA alliance, which is of enormous help to Cuba economically and politically; the strong backing of the population for the revolution; and what I believe to be continued confidence by the overwhelming majority of the population in the revolution, the Party, mass organizations and its leaders, especially with the anti-corruption campaigns and honest assessments by the leaders of what the country is facing. Cuba is making an urgent appeal for solidarity against the current U.S. propaganda campaign of vilification against it. This campaign is just emblematic of a deeper and broader imperialist aggression that is intensifying. The blockade has been a constant, but the seizing of Cuba’s resources and its economic crisis are giving U.S. imperialism a new opportunity to try to create even more severe hardship. It is clear that hopes pinned on the Obama administration by some in the movement—that the travel ban will be lifted and other positive measures would be taken—are just an illusion. In fact, the opposite is happening. There has been a tightening of the blockade and increased political hostility toward Cuba. These developments must also be seen in the light of the 2009 Honduras coup, the growing belligerency of the United States and Colombia against Venezuela, and other right-wing developments in Latin America, as a way of trying to reverse the advances in the continent. The Cuban people have endured heroically for more than 50 years. The revolution has not only survived, but also extended the greatest international solidarity to peoples around the world. Solidarity with Cuba at this time is critical, as is the continued mobilization of people here in the United States in Cuba’s defense.